Black Friday... Cyber Monday... Giving Tuesday... We have them all beat with Registration December! CYL’s 2019 Spring Registration is now OPEN!!! Sign up through 1/7/18 and take advantage of our “Early Falcon” Discount - a savings of $25 per team player!! FGLL/MBYLL travel teams at all age levels - Registration closes February 11th. 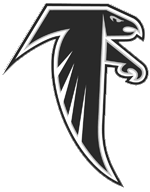 Future Falcons Co-Ed Development program for players 7 and under - Registration is OPEN all season. 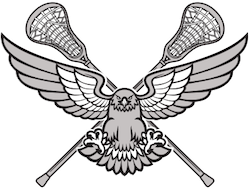 U13 & U15 Boys MBYLL Select teams - Player evaluations will be held mid-March prior to the season. Spring will be here before we know it! We are already lining up indoor practice space for March! As added incentive to fill rosters quickly, we are throwing our Second Annual REGMASTERS PIZZA PARTY for the team that gets the most players registered by January 7th, 2019, the end of our "Early Falcon” registration discount period! Invite friends, spread the word, and get your teams assembled! We recognize that lacrosse is an expensive sport to play. The goal of CYL is to enable any child wishing to play lacrosse in Cambridge to do so. Through generous donations from our community, we are able to offer some financial assistance to those families most in need. All scholarship requests and awards are private information and will not be shared with anyone outside of our Scholarship Committee. If you can do it, we can probably benefit from it! The lessons learned through youth sports are essential to the development of our next generation. If you have the means to make a tax-deductible donation, you can greatly aid us in our mission to promote the growth of both boys and girls lacrosse right here in Cambridge! With your contribution to CYL, you will be teaming with us to procure equipment, provide financial assistance to our players in need, and support our out-of-season fall and summer programs that we continue to offer to the community for FREE. Give what you can. Give what you feel! We appreciate ALL levels of support! Other types of contributions, including equipment and even your time, are equally appreciated and may be tax-deductible as well. Please consult your tax advisor to learn more about tax-deductibility and let us know what we can do to assist you. Enjoy the cold weather, winter sports, and holidays and we'll see everyone back out there in no time!